The Aussie Swingers Podcast Ep 22 | The Aussie Swingers. We Swing Around the World! The Aussie Swingers Podcast Ep 22. Ellie & Al return after a short medical break and catch up on listeners emails, answering the question whether is is normal to sleep over on dates with other couples. They also answer a question novices getting back into the LS after an extended break. On the agenda are some fun travel plans after Naughty in N’awlins, including joining Rick from SLS Radio for a Sunday Sesh at Rooftop Resort, FL. The also chat about their excitement and thoughts on their nominations for the Annual Lifestyle Awards. 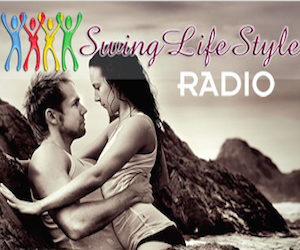 The Aussie Swingers are nominated for the Podcast and Blog categories & ask for your support and votes. « The Aussie Swingers Podcast Ep 21.